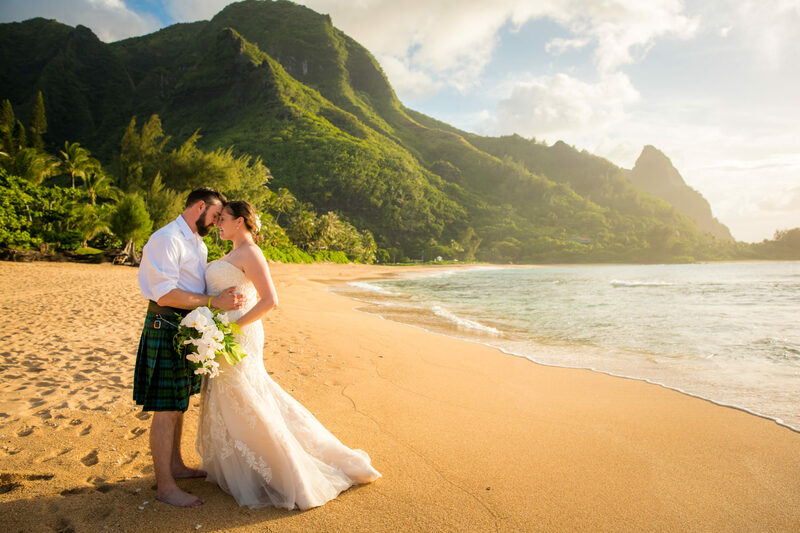 *Currently Unavailable* Please see our Blog Post for more info* This stretch of golden sand backed by ironwood trees, tropical palms and lush mountains is a spectacular backdrop for a wedding ceremony. 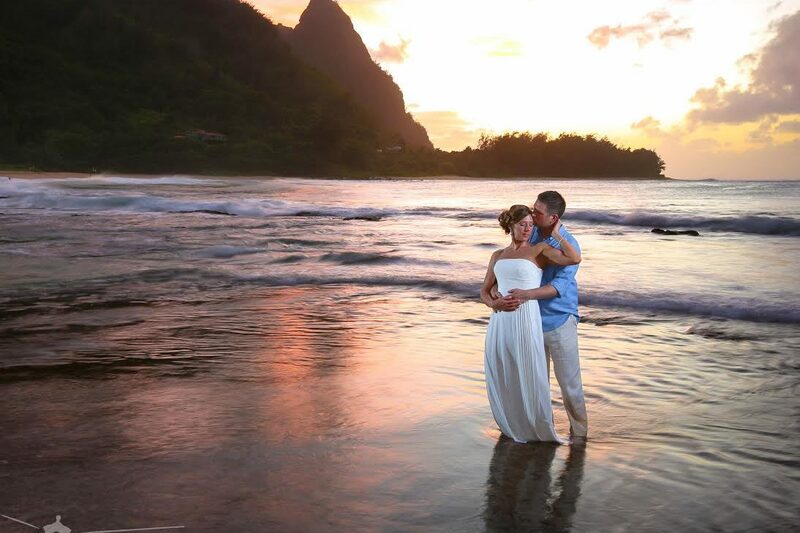 Just a few minutes from Ke’e beach, the sunsets can be amazing here too, and it is not unusual to see rainbows at this beach! 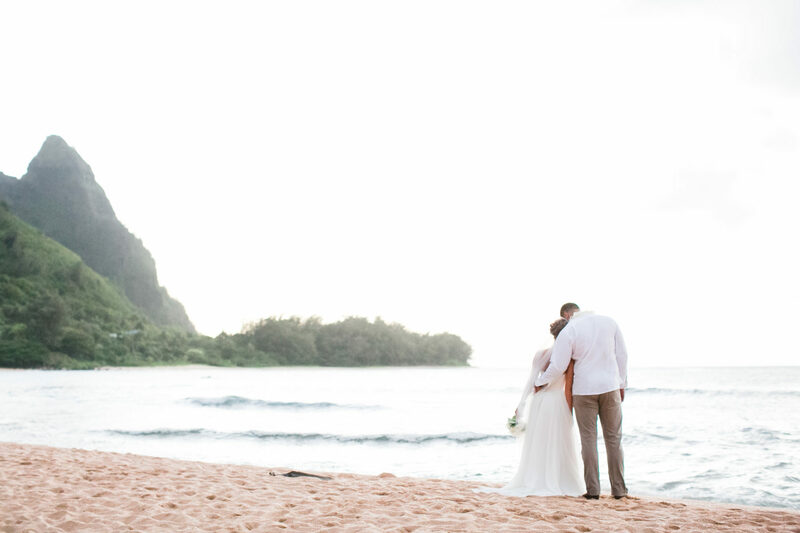 Also known as Makua , this beach begins at the east end of Haena Beach Park and about 5 miles west of Hanalei Bay. 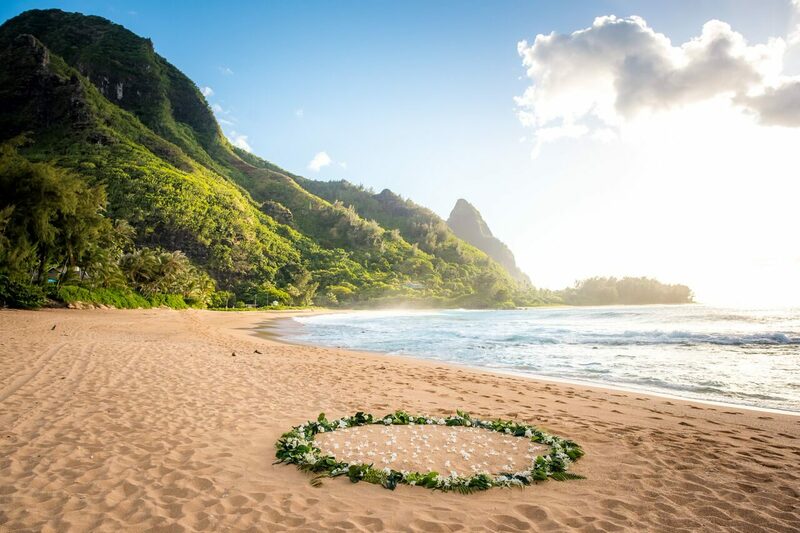 Located just around the corner from the renowned Na Pali Coast, Tunnels Beach is another area made popular by Hollywood Movies. This beach appeals to all beach lovers due to the protective lagoon that is busy with sea life on the inside and the more exhilarating conditions outside of the reefs with water depths reaching up to 70 feet. 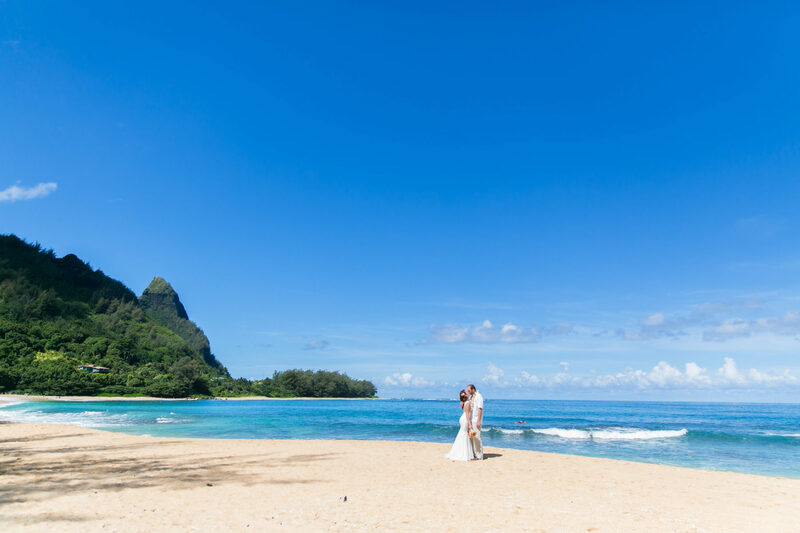 A favorite beach for surfers because of its surf-break, the name Tunnels also comes from the incredible snorkeling and diving opportunities offered in the summertime in the undersea tunnels found here. 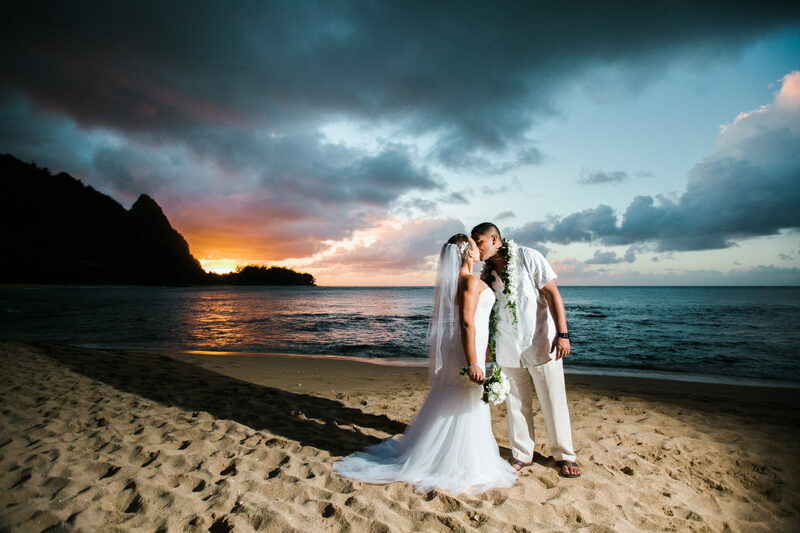 It is also one of the top preferred wedding locations on Kauai.